Construction continues with many residential blocks being built on the way in from the airport and to the South of the downtown core. Some of these are getting rather fanciful names, “Bella Vista”, “Marshall Deluxe Village”, “Encanto Town”. 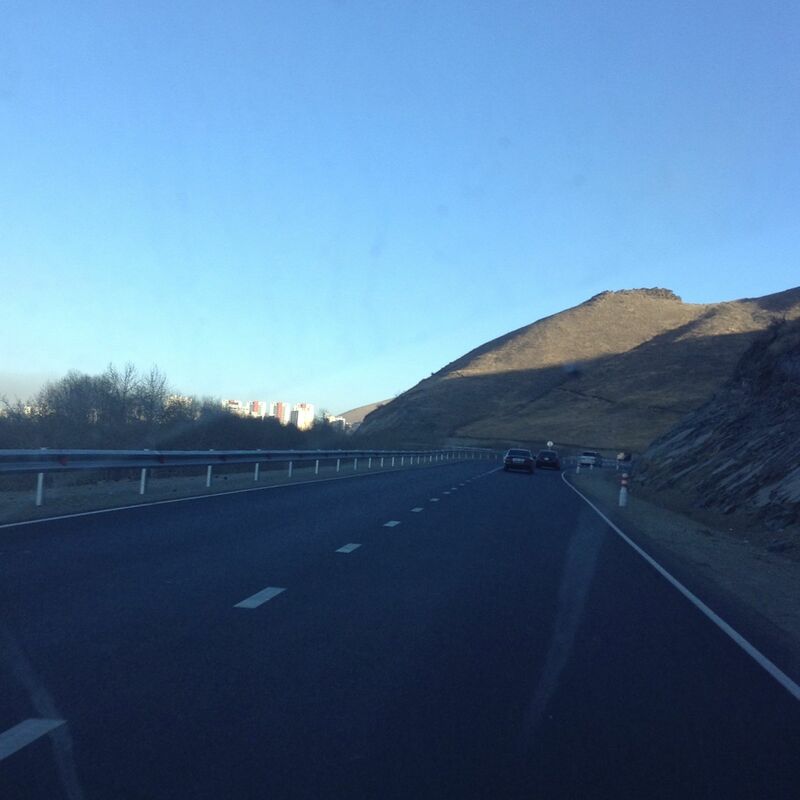 The “mountain road” hugging the south side of the Tuul along the city has been opened and now gives drivers from the airport two options into town, but it also provides drivers from Zaisan going out of town the option to avoid downtown. 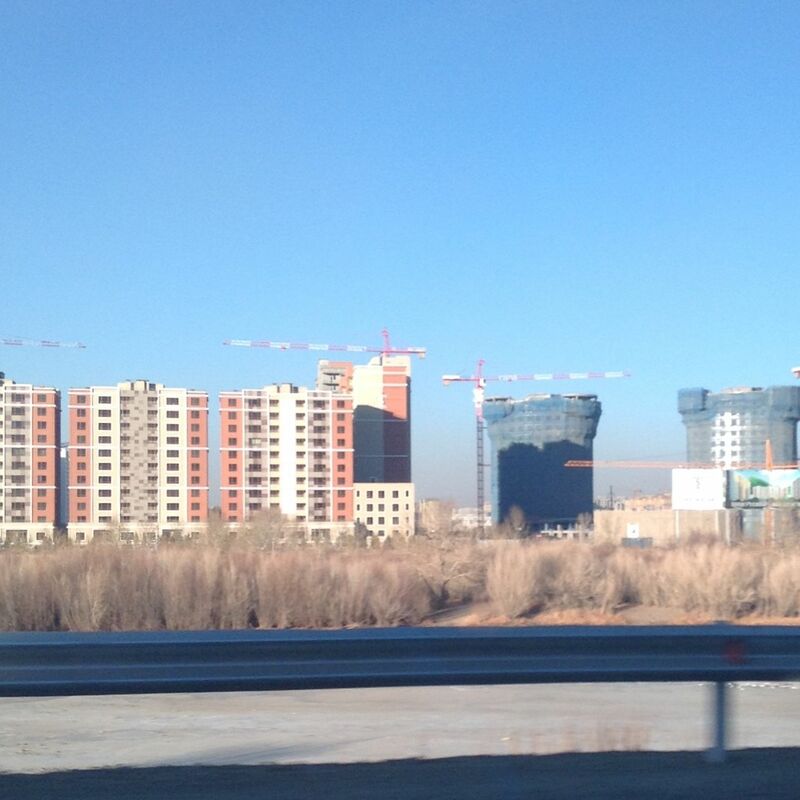 There are many new highway signs going up and traffic circles, animated pedestrian lights, and more carefully-designed intersections suggest that Ulaanbaatar is awash in traffic engineers. In the downtown core, construction continues on the Shangri-la despite the small construction fire earlier in the fall. This will be a huge hotel and convention complex and the road that runs East-West in front of it past the UB Mart is now two-lane and straight. This entry was posted in Change, Ulaanbaatar and tagged Julian Dierkes. Bookmark the permalink.